Ranveer Singh and Alia Bhatt are busy promoting their upcoming film Gully Boy that is based on the lives of local rappers who made it big solely on their talent and hard work. Ranveer has worked really hard to perfect his rapping skills for his role and has voiced all the songs in movie. He will be portraying the role of Vivian Divine and the songs are already a hit among the audiences. With a massive event held for the music launch, Ranveer and Alia have surely raised the levels way too high for their fellow competitors. 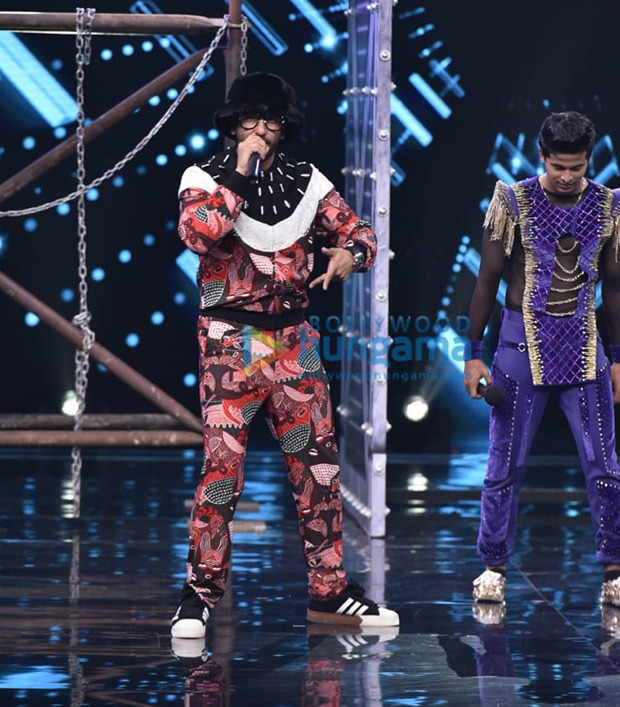 The duo recently visited the sets of Super Dancer where Ranveer got emotional after the contestants of the show dedicated a performance for him depicting his journey in the industry. The kids chose the song ‘Zinda Hoon Yaar’ from his movie Lootera and Ranveer couldn’t help but shed a few tears. The performance started off from Ranveer’s childhood to his daily struggles of being an outsider in the industry. For Ranveer, it was like watching his life story in a couple of minutes. The team mixed his famous tracks to point his highs and lows out in the career. Ranveer couldn’t help but shake a leg with the performers later. Check out some exclusive pictures from their visit to the sets. Gully Boy will hit the screens on Valentine’s Day and is surely one of the most anticipated films of 2019. Helmed by Zoya Akhtar, this movie is already a hit between the crowds even before its release. The tagline of the film Apna Time Aayega has made a special connection with its audience and is now seen being used in people’s day to day vernacular.